Had a loan, mortgage or credit card in the past? If you’ve previously been sold a Payment Protection Insurance (PPI) policy alongside a loan, mortgage or credit card, there is a chance you may have been mis-sold and have a right to reclaim £1,000s in compensation. Gladstone Brookes offer a Free PPI Check** to help you identify any PPI your lenders sold to you, which you could then make a claim to recover. The PPI Check is a free, standalone service. Should you then pursue a claim for any PPI found, our fee of 20% + VAT (so 24%° of the total redress offered by your lender) is payable if your claim is successful. That means if we don’t recover you anything, you don’t pay us a penny. In cases where Payment Protection Insurance (PPI) was attached to the financial agreement, we have a 91% successful reclaim rate for our clients (based on 30 months’ worth of data from July 2016 to December 2018 on cases with PPI). If you decide to make a claim through Gladstone Brookes, we aim to recover 100% of any premiums that you have paid, plus any interest paid on those premiums and where possible a further 8% in statutory interest. Our PPI Claim success rate is 91% (based on 30 months’ worth of data from July 2016 to December 2018 on cases with PPI). We advertise across television, press, radio and online & we absolutely never cold call. Our clients come to us! is how many cases we have been successful on. is the amount obtained through our claims service prior to fees and taxes. Our customers have given us a 4.5 out of 5 score on Feefo – an independent review platform used to gather real, honest customer feedback (based on 4,819 reviews between July 2017 and June 2018). 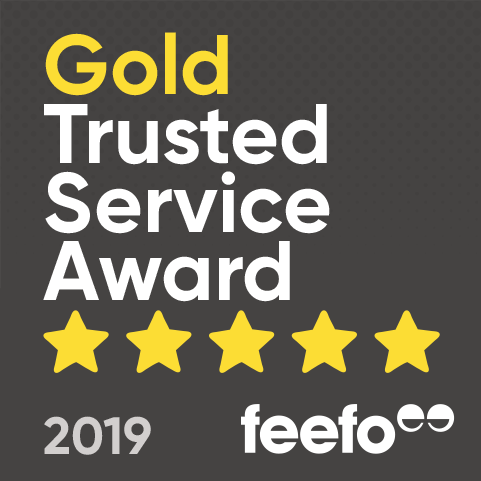 We are also the proud recipients of the Feefo Gold Trusted Service Award for 2019. 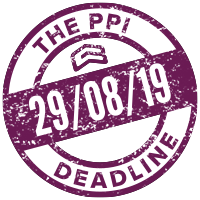 Start your PPI check by simply filling out your details on this page. You can then choose to proceed online yourself or await our call – it would be handy to have any letters or statements ready for this call. Once we know which lenders we can deal with for you, we will send you a pack which you must read, sign and send back to us ASAP. This is a very important document as it allows us to act on your behalf. Your PPI check is now in our hands – we will contact your bank or lender and find out if PPI was added to your agreement. If PPI was present, we can then work towards reclaiming any money you may be owed. In order to fully establish the details of your claim and the strength of your PPI claim, we must take some further information from you. What if I don’t take the call? To put it simply, if we can’t talk to you, we can’t start your PPI claim. Gladstone Brookes will be unable to reclaim the £1000s which you could be owed by your bank or lender. Any documents or statements pertaining to your loan, credit card or mortgage would be useful to have – however, it is not essential at this stage of the claim. Thinking of Starting Your Free PPI Check**? Start your PPI Check with Gladstone Brookes to find out what PPI you could reclaim! Could you be entitled to reclaim £1000s in compensation? Our friendly advisers are on hand to give you the best advice and guide you through the PPI process. Tap the button below or call us now, as we cannot perform your PPI check until you do.